Hedgehog Rose. 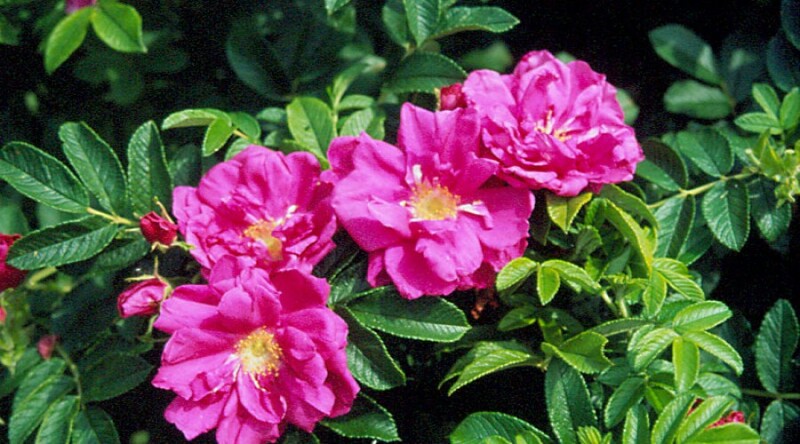 A fragrant, dense shrub rose with leathery, veined, dark green leaves. Pretty single, purplish red flowers in early summer followed by orange-red hips. Height 1-2.5m. Spread 1-2.5m. Flower colour Red, Purple. Flowers from June to July. Fruit colour Orange, Red. Fruits from August Deciduous.